It was 65 degrees here in Chicago a couple of short days ago. Within 10 hours it was down to 32. Yes, it was freezing. 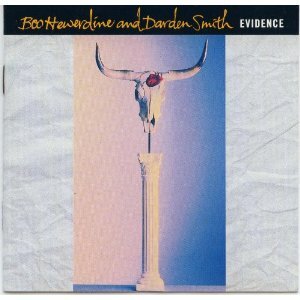 I tell you that weather tale as I lead into a piece on this great album by Boo Hewerdine and Darden Smith titled Evidence. Why you might have asked? I mention that because I’ve always had certain albums that I associate with the different seasons or even sometime more specifically a certain time of that season. That’s a large chunk of the beauty of this 1989 release. 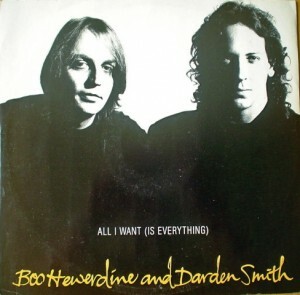 Boo Hewerdine and Darden Smith played two different styles of music from two different parts of our world. Boo was a long-time member of the British band “The Bible.” They could loosely be classified as a pop/alt/indie/jangly band while Darden was a solo artist. An “Americana” singer/songwriter if you will out of Austin, Texas. The sound they produced in their one and only collaborative effort fell somewhere in between. It truly was collaboration. Both players shared in the sound and especially the vocal arrangements. The harmonizing was fantastic as was the interplay during the trade-off of parts. They sounded so well together, as if they had been band mates for years on end. Having said that. I’m not sure if that was even the best part of the music. No, I think the best part of these songs was always the melodies. These songs quickly seemed like old friends to me. It was almost like I knew them from somewhere before. Maybe that’s another reason I like listening to this album at this time of year. It’s almost like family is coming home for the holidays. Most of the music is simple. The two of them almost always on acoustic guitars along with maybe a little bass line at times and maybe a little shuffle drums at other times. It didn’t stop there. Just when you think you’ve got them figured out slide guitarist extraordinaire Sonny Landreth makes an appearance. You can hear him below on the video playlist in the song “Love is a Strange Hotel.” Syd Straw adds vocals as well. 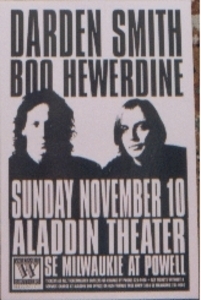 Many of the band members appearing were from Darden’s recording and touring band at the time.